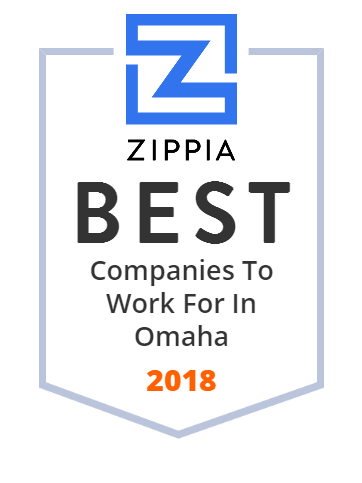 We hand-curated a list of the best companies to work for headquartered in and around Omaha, NE using data on salaries, company financial health, and employee diversity. Lindsay Corporation (NYSE: LNN), formerly known as Lindsay Manufacturing Co., is a manufacturer of Zimmatic brand center pivot irrigation systems, based in the U.S. state of Nebraska. It also manufactures farm and construction machinery, as well as road and railroad infrastructure equipment. The company states that it has a market capitalization of $547,584,000. At August 31, 2008, the company had 1,239 employees. Berkshire Hathaway Inc. is an American multinational conglomerate holding company headquartered in Omaha, Nebraska, United States. TD Ameritrade is a brokerage firm based in Omaha, Nebraska with a major trading center in St Louis, Missouri. The letters TD are derived from Toronto-Dominion Bank, the largest shareholder. The company provides services for individuals and institutions that are investing online. The company offers an electronic trading platform for the purchase and sale of financial securities including common stocks, preferred stocks, futures contracts, exchange-traded funds, options, mutual funds, and fixed income investments. It also provides margin lending, and cash management services. The Union Pacific Corporation (Union Pacific) is a publicly-traded railroad holding company. It was established in 1969 and is headquartered in Omaha, Nebraska. It is the parent company of the current form of the Union Pacific Railroad. Mutual of Omaha is a privately held Fortune 500 mutual insurance and financial services company based in Omaha, Nebraska. Founded in 1909 as Mutual Benefit Health & Accident Association, Mutual of Omaha is a multi-line organization providing insurance, banking, and financial products for individuals, businesses and groups throughout the United States. Werner Enterprises, Inc. (NASDAQ: WERN) is an American freight carrier and transportation and logistics company headquartered in Omaha, Nebraska. It was founded in 1956 by Executive Chairman, Clarence L. (C.L.) Werner. He started his business with one truck at the age of 19. The company has two divisions - Truckload Transportation Services and Werner Logistics. At the end of 2017, Truckload division has 7,435 trucks and Werner Logistics has 45 drayage trucks. As a leading manufacturer of retail fixtures, we are committed to working together to find the solution that best fits your needs. West Corporation is a private telecommunications services provider based in Omaha, Nebraska. It became a subsidiary of Apollo Global Management on October 11, 2017. The Physicians Mutual family of companies provides a full portfolio of individual health and life insurance products, as well as retirement products. First National Bank of Omaha offers personal, business, commercial, and wealth solutions with branch, mobile and online banking for checking, loans, mortgages, and more. At Gavilon we leverage our industry expertise and vast physical distribution network to effectively connect producers and consumers of agricultural commodities. First National of Nebraska is a privately held, interstate bank holding company based in Omaha, Nebraska, United States. Its largest banking subsidiary is First National Bank of Omaha. First National of Nebraska ranks as one of the 50 largest banks in the United States. There are locations in seven states and more than 6.6 million customers across the country. First National of Nebraska and its affiliates have more than $20 billion in managed assets and 5,000 employees. As of June 30, 2009, First National of Nebraska had Shareholders' Equity of $1,116,225,000 with 315,000 shares outstanding and a Book Value Per Share of $3,544. Storage.com makes renting a storage unit easy. Compare facilities near you to get incredible deals online. Rent storage in minutes, no credit card required. Oriental Trading Company is a direct merchant of value-priced party supplies, arts and crafts, toys and novelties and school supplies. Founded as a private medical college in 1880, UNMC became part of the University of Nebraska System in 1902. Kiewit Corporation is an employee-owned Fortune 500 contractor based in Omaha, Nebraska. Privately held, it is one of the largest contractors in the world. Recent projects have included several bridge retrofittings in the San Francisco Bay Area, Interstate H-3 project in Hawaii, and building the world's largest geodesic dome at Henry Doorly Zoo in Omaha. Along with significant mining and off-shore operations, the company also contracts small grading (dirt moving) projects for residential or commercial development.